Virtual Assistants have become the biggest “new thing” and with very good reason. I can think of no one that needs a VA more than a realtor but the truth is that they can be found almost anywhere in today’s business world. A professional VA can do a multitude of tasks for their clients and depending upon their skill level they might be able to do some things better than their employer! There is an old saying that I’ve heard many times from my associates in the real estate world and I have been known to say it myself in the past. If you find that you are “too busy working to make money” than you are not alone. If you are overwhelmed with administrative tasks, working too many hours or stressed out because you just don’t have enough time to get everything done than you are a prime candidate for hiring a VA. There are many reasons why you should hire a virtual assistant but for me the main reason is that I am able to spend my time doing what is most important for the success of any realtor. I can now spend the majority of my time dealing with clients and that’s exactly where I’m needed the most. Here are some great reasons to consider hiring a VA if you don’t already have one. It just might be the best move you’ve ever made to grow your business and develop a great reputation as a realtor who is always (or almost always) available to his/her clients. Today’s VA is available to fill almost any niche and finding one with experience in your industry is not a problem, especially in real estate. Due to the nature of their work many VA’s excel in different areas and may be able to help you in ways that will surprise you. Most VA’s are not employees, they are self employed and that can save you a world of headaches. You probably already know that hiring an employee entails certain legal responsibilities and additional costs such as dealing with required payroll deductions and the like. You can avoid this hassle by hiring someone that is self employed and equally important is the fact that most VA’s depend on their reputation to obtain new clients. This almost always ensures that they will perform above and beyond. No one knows better than a realtor just how valuable time can be. A VA will help you to find more time to do more important things and that equates to more clients. If you’re too busy to take on more business you are doing something wrong! Besides, wouldn’t it be nice to have a day off once in a while or to take that long overdue vacation? A trustworthy assistant can make it all possible. Due to the fact that many VA’s are self employed you can save a lot of money. You don’t need to pay for additional office space for them to work in. No additional office furniture is needed and as mentioned above there are no taxes, insurance or other expenses to be considered. A penny saved is a penny earned! Most VA’s are willing to pay for their own training in order to stay current and more importantly, marketable. In many ways VA’s are similar to real estate agents. Proper training and certifications are a part of their responsibility to their clients and they need to be able to compete with other VA's in order to find work. The same as us it is a part of their everyday work and is vital to their success. 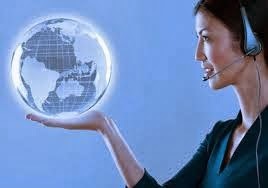 Many virtual assistants have experience in different areas and may be experienced in other professions that are closely related to your business. This can be invaluable if you need your assistant to deal with others on your behalf. Many times a VA can be considered a “Jack of all trades” and is a huge asset to your business. Find the right VA and you will find your new best friend! Unlike many “Nine - Fivers” assistants realize that if you don’t succeed they don’t either. Unlike many standard employment positions the effectiveness of an assistant is easily gauged and if they are not doing a good job it is quickly apparent to their employer. For this reason professional assistants are very goal oriented and eager to get results. They want to do well for you so that they can do well for themselves. One big advantage to you is the fact that VA's are able to work any schedule required. The modern VA is not just located in the U.S. One great source for this type of administrative help is the Philippines. Not only will you be able to pay considerably less to your assistant but they will be more than willing to accommodate any schedule. While it may take more time and effort to find an expert assistant overseas the savings will be substantial and will easily outweigh the inconvenience.